Motion Media Arts Center offers individual artists, organizations, or otherwise unincorporated groups the opportunity to be fiscally sponsored through the MMAC umbrella. We are dedicated to our mission of supporting every aspect of production from idea to distribution; our goal is to empower, educate, and help emerging artists develop as active participants in shaping our creative culture. To make a secure, tax-deductible donation directly to a project that is currently fiscally sponsored by MMAC, simply click on its corresponding “DONATE” button below. 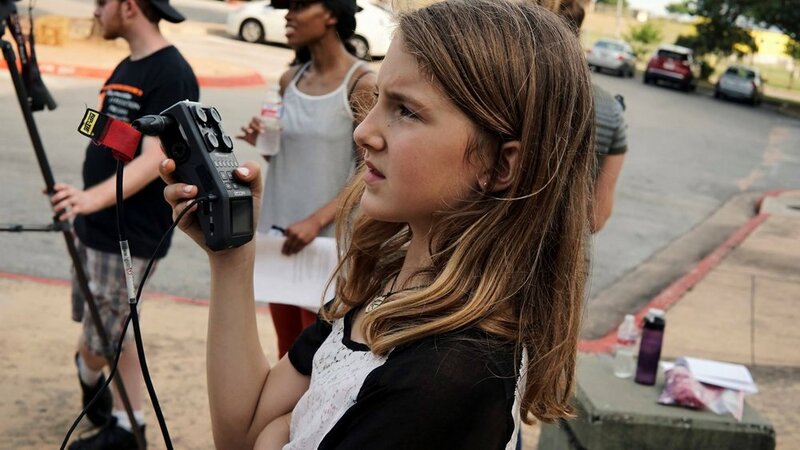 Austin Metro Drug Free Coalition Media Project is a project series is focused on towing the media sector line when it comes developing impactful drug-free commercials (PSAs) geared towards building youth (6th-12th graders) resilience. The project idea stems from a recently established local Drug-Free Coalition on a mission to bring various sectors of the community together to prevent the use and abuse of alcohol, drugs, tobacco, marijuana, prescription and other drugs among youth in the community. Austin Tinkering School is a place where kids use real tools and real materials to build, create, and learn. Adults serve as collaborators rather than teachers for maximum engagement, interest, enthusiasm, and enjoyment. The Badge, the Gun, and the Hangman’s Noose is a narrative short film by award-winning writer, Edward Santiago. A ruthless desperado faces the ghosts of his past, as he flees from the law of the Old West. Founded in 2015 by Taryn Lavery, Alex Miller and Lucy Wilson, BLiPSWiTCH is interested in the collaboration of any and all things art and was founded as an inclusive platform for: artists to unite, create work, and cultivate a multifaceted arts community, unbound by individual mediums. We will push the boundaries of movement, dance, and art to facilitate an environment of innovation, enrichment, and outreach. Bringing together creators with a desire for collaboration allows us to reach a more diverse audience, promote education from all sides, and challenge both the artist and viewer to think in a new way. Truman Capote's novella "Breakfast at Tiffany's" did not offer the kind of magic and fun that shines in daylight, and Holly Golightly certainly did not offer any promise of romance. April Kling Meyer's Breakfast at Joe's is the tale of a similar woman. Set in the modern day, it is a story of youthful exuberance fueled by the lust for both wealth and belonging. Matt Koshmrl’s Dokdo Lone Island is a film about the roots of identity, legacy, and national sentiment, told with three journeys connected by one small island: Dokdo. Dokdo explores the personal reasons that motivate three advocates to fight for this controversial conflict, and brings a challenging perspective on nationalistic pride. Mireydi Mendieta's EAST is a film centering around character Maika. Maika has the idea to explore the newly built condos near her home in the Rosedale public housing. The neighborhood kids venture into a world they’ve never been part of. Maika suddenly realizes that she is different, her life is different, and most importantly she is not welcomed in her own neighborhood. Maika has a breakthrough, she chooses to love herself, love her beautiful dark skin, love her culture, her community, and embrace the hot summer day by swimming with the people she cares about. The Electrics is an 11-episode web series from filmmaker Ashlee Harris. It's a romantic comedy that will have an all African American-cast and will aim to have a majority African American crew. All shoot locations will be in Austin. 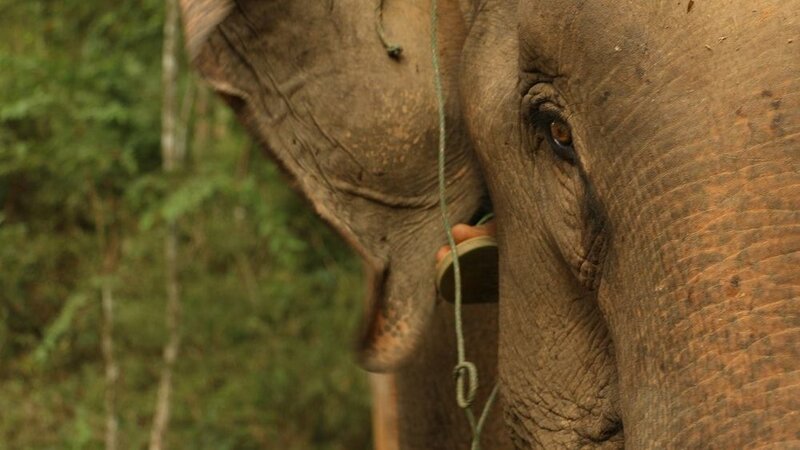 Kate Kirby’s documentary film, Elephant Keeper, goes behind the scenes at an elephant conservation center in Laos, providing a rare and intimate glimpse into the daily life of a Mahout. Laos, known as Lan Xang, or "The Land of a Million Elephants”, is now home to less than 1000 wild and captive elephants combined. It is believed that the Lao elephant will be extinct within 30 years. Themes of culture & identity, environmental stewardship, and class & poverty emerge as the narrative explores issues surrounding extinction and conservation. Caleb Kuntz’s Endless Light is an Alaskan-made film that explores a young woman's journey through mental illness & finding healing in the wake of her brother's suicide. Her recovery is upended by a traveling Dionysian musician who reignites her passion for life. Banded together, they conjure the mysticism of Alaska's wilderness to communicate with her deceased brother. An original scripted series that follows three people of color as they battle to find themselves in a city that is quickly changing. Through Gentrified’s characters, audiences can experience the effects of gentrification through the eyes of affected residents. Love Evolved explores mankind's attempt to scientifically prove methods for enriching the human experience. An examination of the various events of the 20th century that sparked the positive psychology movement. From politics to social movements, from war to the counter culture, and from science to the divine, our investigation brings us face to face with the people who knowingly and unknowingly played roles as part of a movement that aspires to bring greater mental peace to the world through the fusion of myriad disciplines including neuroscience, psychology, Buddhism, and spiritual/religious beliefs. The data is out there, all you need is a little willingness to seek it. Jim Hickcox's Names in the Pavement explores the lots of things that make Austin, Texas - music, breakfast tacos, an annual birthday party for fictional donkey Eeyore, and names stamped in the sidewalks. Most of these are self-evident creations, but the names, they remain somewhat mysterious. “Names in the Pavement” will provide an exploration of these names and the historically racially charged infrastructure of Austin, as well as a peek down every related alley it passes. Indie at its heart, Other Worlds Austin is one of the premier sci-fi film festivals in the USA, with four years running of sold out screenings, over a dozen World and North American Premieres, and filmmakers from all over the world in attendance. Eugenio del Bosque's Peyoteros is about three Mexican-American men in South Texas are the only individuals left who can legally harvest and sell peyote in the United States. Traditionally known as Peyoteros, these men supply the sacred plant to members of the Native American Church with medicine for their sacrament. Supplies of the plant are dwindling, and demand continues to rise. Pitt Garrett’s Songwriters Across Texas television show features local songwriters and their great music as well as interviews with each artist about their musical journey. Our mission is to "Get the Music Out". Discover songwriters through their interviews and songs to learn how they are touching lives through the creative process of songwriting. Transform Film Festival's mission is to give visibility to the many diverse perspectives of women within the world of independent film by screening and awarding the best films made by women across the Texas landscape. This annual festival is Texas’ only film festival dedicated to films exclusively created by women (cis and trans). Transform gives an empowering platform to the many talented and underrepresented women creating great work in the independent film world. We strive to educate and inspire future generations about the experiences and contributions of women through the art of film by not just showcasing films by women, but honoring them. We provide real tangible prizes for the filmmakers featured in Transform to utilize in further their career paths. Donations $100+ receive a free Transform Film Fest tee. Donations of $25+ receive a free fest pin pack. Transform Film Fest is currently trying to raise $400 to build a website for the festival. All donors will be listed as supporters on the new website. In the short film "Violence of the Sun", a top secret military group awakens an A.I. to assassinate a mysterious prisoner. As the A.I. closes in on his target, he begins to question which side he should be helping. Drawing from Italian horror and cult sci-fi movies, "Violence of the Sun" promises to deliver an experience just as fun as it is bloody. Written and Directed by Bret Dorman and Produced by Sonia Santamaria. 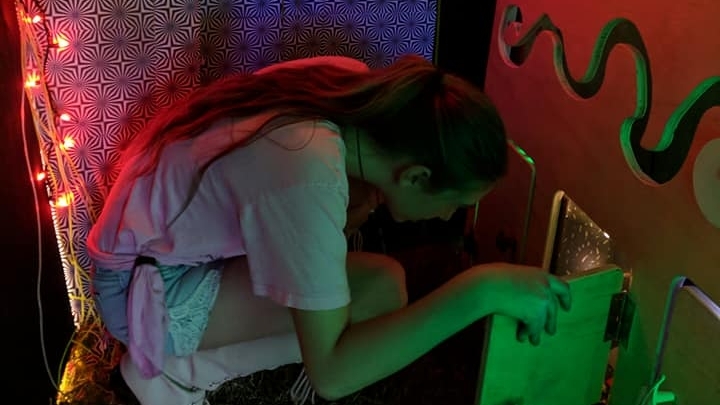 The twelve Vision Gland artists specialize in a kind of collaborative interactive art that is apt to involve the creation of electronic games, interactive kinetic sculpture and immersive exploration experiences that might include secret passageways and hidden control rooms. An operating principle of this group is that discovery through play shouldn’t only be for children— though children love our installations too. Paul Beck is an award-winning animator and artist currently living and working in Austin, Texas. His past work includes: A Scanner Darkly, Waking Life and Tower. He has directed and animated music videos for artists David Byrne, Molotov, Juanes, The Black Eyed Peas, The Calm Blue Sea and Groupo Fantasma. He is a two-time nominated and one-time winner of Latin Grammy and Latin MTV video of the year and his experimental work has shown at File Electronic Language International Festival Brazi (São Paulo, Rio de Janeiro), VN Gallery (Zagreb Croatia),Washington Project for the Arts, and New York Museum of the Moving Image. We Dream For You is his latest animation project. Sharon Arteaga's When You Clean a Stranger’s Home is a cinematic essay narrated by Abby, a first-generation high school senior who writes an essay describing what her and her mom learn about people when cleaning their homes. 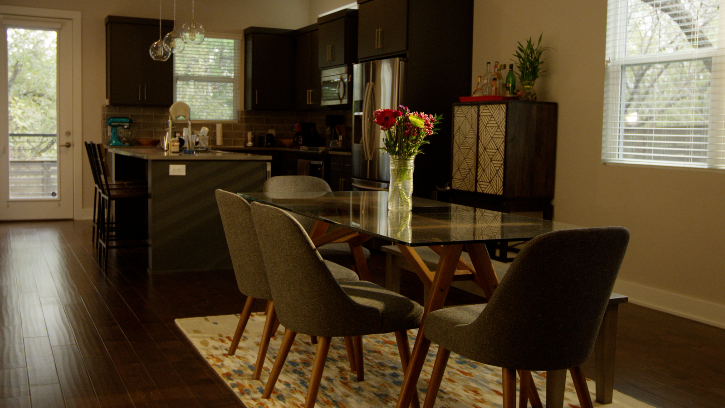 House decor and items left around convey a privilege that unveils Abby’s jealousy, judgment, frustrations, and finally her realization that she is taking her own opportunities for granted. Melissa Kirkendall's documentary YOU ARE ME & I AM YOU about the famous indigenous midwife and shaman of Cotacachi, Ecuador who is helping to improve families lives and influence western medicine through her practice of pakarina (the ancient indigenous way of child birth) and the use of medicinal plants to heal people.